We are already preparing for an amazing summer in 2019!!! We have twelve different programs running this summer for each age, gender, and type of adventure you are seeking. We believe in a God of Adventure. He has a story and a plan for each of us. If we can enter into that adventure with Him, first by trying amazing and spectacular new experiences and then having the time and quiet to reflect on them and listen to God's moving, we can discover a lot about who God is and who he made us to be in this world. We integrate adventure experiences with faith formation. We teach about God and His Church through incredible and unique adventure experiences designed to bring out the best in you. So whether you are climbing a peak, navigating a rapid or sleeping in a teepee in the Colorado wilderness, an incredible adventure of faith and personal growth awaits you. The 9 day High School Alpine Expedition Program is on Camp Wojtyla’s wilderness property. It features many adventures during the week including Rock Climbing, a summit attempt or a big hike day on Colorado’s peaks and mountains, and White Water Rafting. Campers will spend the night in Teepees at our property and learn the richness of their Catholic faith while enjoying the great outdoors. Spend 6-12 days backpacking through the pristine wilderness of the Rocky Mountains. 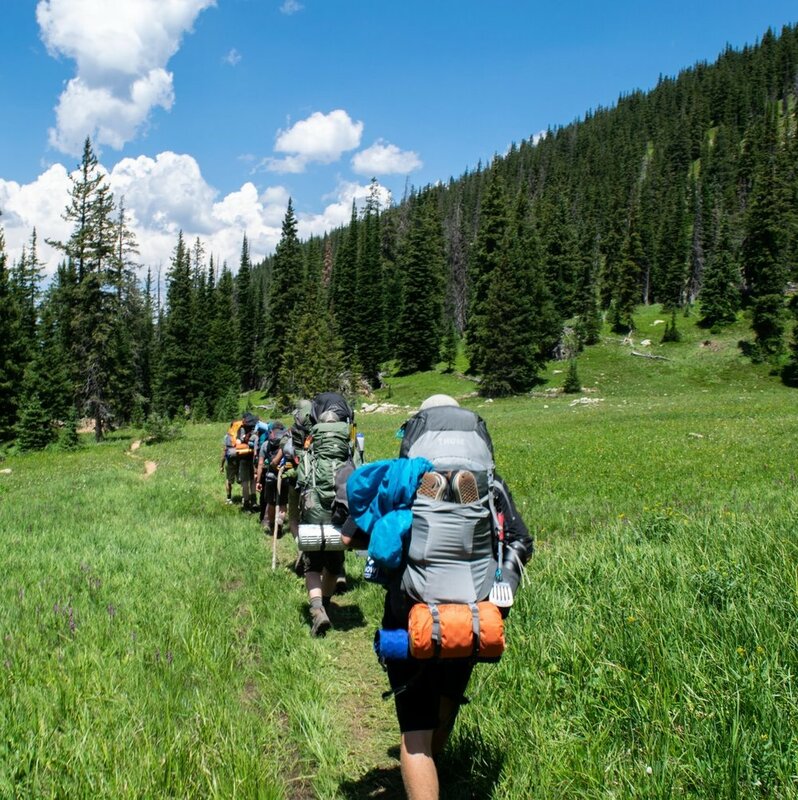 On these backpacking trips, campers will have the opportunity to experience the raw beauty of Creation, form deep friendships, and engage in rewarding challenges of life on the trail. Summit attempts, white water rafting, and camping under the stars are various options on the expeditions. Camp Wojtyla, Inc is authorized to operate under permits from the National Park Service in Rocky Mountain National Park, and from the United States Forest Service in Arapaho and Roosevelt National Forests Indian Peaks Wilderness. Camp Wojtyla is an equal opportunity service provider.